LYNNWOOD, Wash. (KABC) -- A girl who was allegedly abducted by her biological father from Moreno Valley in 2014 has been located in Washington state. 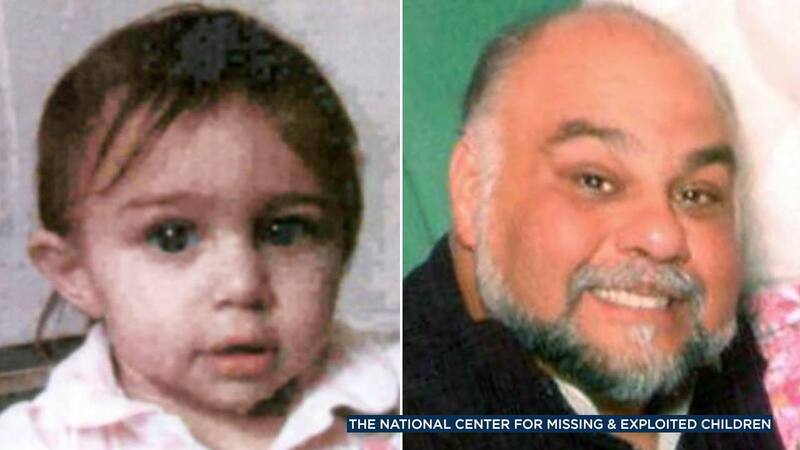 Angelina Deluca was only 1 year old when she was allegedly abducted by her biological father, Michael Stevens, on March 7, 2014, according to the National Center for Missing & Exploited Children. U.S. Marshals officials said Stevens is accused of failing to return Angelina to a foster family after he was authorized an unsupervised visit by the courts. A warrant was issued for Stevens' arrest on June 10, 2014. Last month, the Riverside County District Attorney's office requested the assistance of the U.S. Marshals' Pacific Southwest Regional Fugitive Task Force in the case. Investigators received an anonymous tip stating that Stevens may be residing in Washington state's Everett area with Angelina. The tip also alleged that Stevens was using the pseudonym "Michael Lee," and utilizing Craigslist to sell used cars. Following a joint effort by the U.S. Marshal's Pacific Northwest Violent Offender Task Force and the Snohomish County Sheriff's Office, Stevens was located in the city of Lynnwood and arrested. Angelina was with Stevens at the time of his arrest. He was booked into Snohomish County Jail, where he will await his extradition back to California. Angelina, now 4-years-old, was turned over to Washington State Child Protective Services, U.S. Marshals officials said.